Premium apps on Tizen are always shares high ranking in Tizen Store popularity. These apps are always on the list because of their quality, useful environment and uniqueness. In last 2 years Tizen have got plenty of such premium apps, like some high quality games landed here. These days it is the secret to every mobile operating system, you want to attract more customers then you must focus on app ecosystem. Promote best developers and create easy & simple platform to encourage them to build high quality apps. It is the result Apple has built rich lineup of iPhone X, iPhone 8 and iPad Pro. On the other hand with the same technique Android platform has created premium quality products like Samsung Galaxy S8, Galaxy Note 8, LG G6, Sony Xperia Premium and now many Chinese smartphones. Tizen is also using same technique to grab more rich developers so they could make more creative apps here. To encourage them Tizen has declared incentive programs for best developers. In the intensive program first 100 apps will win many prizes and 1st rank app will get $10,000 as an award. The result is good, some premium apps are now supports on most Tizen devices. Many apps are now available for Samsung Gear smartwatches – Gear Sport, Gear S3, Gear S2, Gear Fit2 Pro and other fitness bands. We know apps like taxi calling app Uber and music app Spotify are supports on Gear Wearables. But what about Tizen smartphones? It is new born OS trying to survive in itself. Well, no more. Now many premium apps are launched on Tizen smartphones for all the devices. You want to know which are those premium quality apps then here is the list of best premium apps for Tizen smartphones that you must download. If I am not wrong then it is the first premium quality app landed in Tizen Store. It is the first third party browser for smartphones. Now we have UC Browser and UC Mini but back then Opera Mini was the only option. Data saving mode, privacy mode and virus free browsing are the best sides of it. Note: UC Browser & UC Mini are no longer supports on Tizen so Opera Mini is the only third party browser that you have. Use it & save upto 90% internet data. This one is most popular game in the world on all mobile phones. It plays on billions of mobiles so its presence on Tizen is lot mean to it. Temple Run 2 is endless runner genre. Run as much as you can and collect gold coins and other rewards. It is very fun to play on all smartphones. The lots of fun & catchy stunts make it cool. It is recommended game for all the gamers. 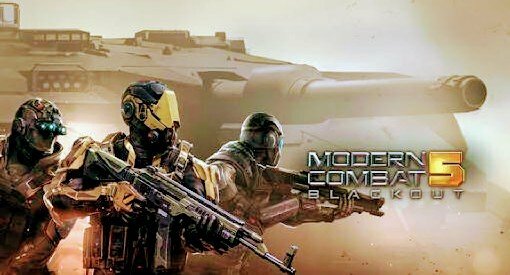 You can play Modern Combat 5 on Tizen smartphones. This is high graphics game created by Gameloft developers. Due to the high quality graphics and special effects you will face some glitches on your smartphone, still it is must play game. It is the best entertainment app in Tizen Store. You can watch your movies and TV serials absolutely free. And over that stream all episodes or movies without any ads, at least not now. Unfortunately, Tizen version doesn’t support Hotstar Premium so you might miss some premium movies & series like Game of Thrones, Titanic, Marvel & Disney movies. It is the live TV app from Reliance Jio telecom operator for their customers. You can watch over 400 TV channels from all major languages. For Jio users this app is free and they can watch any TV channels free of cost. It won’t support with other telecom operators so if you want to download Jio TV then you must have Reliance Jio card. IMO made easy for all Tizen customers to make video calls to any other IMO users from their phones. Users can make free video calls to their friends & family. It is the first app in the Tizen Store to support HD video calling & it supports cross platform calling, where you can call any callers which are using other mobile operating system rather than Tizen. The app is in initial phase & we believe in the next few updates we will see more features. The list will not stop here. Every week more developers are launching new apps in Tizen Store. This is just a beginning, more apps are yet to come. We will update this list when there is new apps appear into the Tizen Store. Now you can download these apps on all Tizen smartphones – Samsung Z4, Samsung Z2, Samsung Z3 and even Samsung Z1. You want to suggest more premium apps in this list then contact us via comments box below. Hi i bought a samsung z2 and its giving me challenges on whatsapp,it sometime work good but mostly it run connection while freezing the whole activity,no other option will work during this. Can you please change these devices to android coz this tizen thing its really not working as expected,i only bought this device for being a samsung coz i never have a problem with the brand before,now its like i bought a toy coz i can use it as often as i want to,i didnt know its not android.